Windows RT is the locked-down version of Windows 8 for ARM computers, as seen on Microsoft’s Surface RT tablet Microsoft Surface Tablet Review and Giveaway Microsoft Surface Tablet Review and Giveaway The Surface tablet is a flagship Microsoft product -- its first foray into the tablet market as a hardware manufacturer. It’s almost as locked-down as the iPad - the only applications you can install and... Read More and a few other Windows RT devices. Unlike the standard version of Windows 8 Which Windows 8 Version Is For You? Which Windows 8 Version Is For You? If you’re interested in upgrading, you’ll also need to know which edition of Windows 8 is right for you. The good news is that Microsoft has simplified the different editions of Windows in Windows 8... Read More , Windows RT doesn’t allow you to install your own desktop programs. You’re limited to the included desktop programs written by Microsoft or Modern apps from the Windows Store. 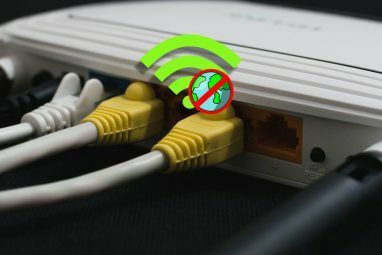 However, there are ways to jailbreak your Windows RT device and run unapproved software on the desktop. These tricks aren’t for the faint of heart. They’re for the geeks out there who have a Surface lying around and want to hack around with it, making it do more than what it was designed to do. Windows RT includes most of the standard Windows desktop programs Windows RT - What You Can & Can't Do Windows RT - What You Can & Can't Do Windows RT edition was discreetly launched about a month and a half ago with the flagship Microsoft Surface RT tablet device. 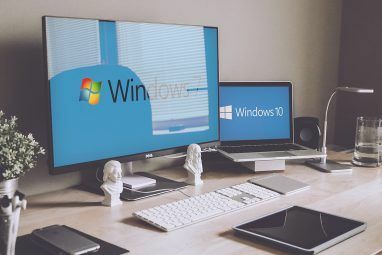 Though visually indistinguishable from Windows 8, there are some key differences as to what... Read More that come with Windows. You can use Internet Explorer, File Explorer, Remote Desktop, Notepad, Paint, and other tools — but there’s no Windows Media Player. Windows RT also comes bundled with desktop versions of Word, Excel, PowerPoint, and OneNote. In Windows RT 8.1 How To Upgrade To Windows 8.1 Preview & What To Expect How To Upgrade To Windows 8.1 Preview & What To Expect Anyone using Windows 8 can now upgrade to a preview version of Windows 8.1 for free. This update refines Windows 8, giving keyboard and mouse users important interface improvements and making the Modern interface more... Read More , you’ll also be able to use the popular Outlook mail client on the desktop. These Office apps are limited versions, without support for macros and plug-ins. If you want to run another desktop program, tough luck — you can only run desktop programs specifically written by Microsoft. To get a new desktop program, users will have to ask Microsoft nicely — just as they asked for Outlook or Windows RT and will be receiving it soon. On a Windows RT device, you’ll need to install Modern apps from the Windows Store instead of desktop apps from the web. However, intrepid hackers — in the good sense of the word — have been hacking away at Microsoft’s limitations. Like an iPad, a Surface RT or other Windows RT device can be jailbroken. This removes the protection against running any desktop program not specifically written by Microsoft. Note that jailbreaking your Windows RT device won’t allow you to run any Windows desktop program. Windows RT devices run on ARM chips What Is an ARM Processor? Everything You Need to Know What Is an ARM Processor? Everything You Need to Know If you’ve paid any attention to smartphones and tablets you’ve likely heard of the term "ARM" used to refer to the hardware inside. It’s thrown around left and right, often as a point of differentiation... Read More , while standard Windows PCs use Intel x86 chips — that means you can’t just run standard Windows software on an ARM device, even after jailbreaking it. We’ll cover the software you can run later. Jailbreaking was once a bit more complicated, requiring you to run a special hack every time you booted your device. There’s now a dedicated RT Jailbreak Tool that can automatically run at startup, jailbreaking your Windows RT device every time it boots. To jailbreak your Windows RT device, just follow the instructions in the thread — download the .zip file, extract it, and double-click the runExploit.bat file. After jailbreaking, you can immediately run apps that have been specifically tweaked and compiled for Windows RT’s ARM architecture. As many popular tools are open-source, this means that you can run some popular desktop programs, including BitTorrent clients, text editors, VNC programs, older games, and other tools. Consult the Desktop apps ported to Windows RT thread on the XDA developers forum for a maintained list of desktop programs you can run. You’ll find common tools like 7-Zip, Notepad++, PuTTY, TightVNC, Keepass, Miranda IM, and Audacity in addition to game engines and emulators that can run old SNES and DOS games. One enterprising developer has created a tool named Win86emu that functions as an emulation layer, enabling standard x86 Windows desktop programs to run on Windows RT ARM tablets. It’s still in beta, so don’t expect to work with too many programs. There’s also a thread that lists compatible apps — you can use IrfanView, WinRAR, and the Windows 95 version of Pinball decently, but other programs will be too slow. Fallout 2, Might and Magic VI, Heroes of Might and Magic III, and Age of Empires 1 work okay, too. This is certainly a start, and if you need to use IrfanView, WinRAR, or play a few old games, this could be useful. This tool would likely improve with time if Windows RT became more popular, but it’s unclear if that would ever happen — so don’t hold onto your hats. Should You Jailbreak Your Windows RT Device? Microsoft says the limited desktop makes Windows RT devices more secure — no unapproved desktop programs means no viruses. After a jailbreak, a Windows RT device will behave more like a standard Windows 8 device, so security shouldn’t be an issue. Performance and battery life might be an issue — desktop programs running in the background might be a drain in the CPU as they can’t be managed by the system in the same way Modern apps are — but this will be no more of a problem than on standard Windows 8 systems. In reality, it seems more like Windows RT has a desktop because Microsoft couldn’t port Office to the Modern environment fast enough and they couldn’t get all of the important settings into the Modern PC Settings app. We wouldn’t be surprised to see the crippled desktop fully removed 6 Ways Microsoft Is Killing The Traditional Desktop In Windows 8 [Opinion] 6 Ways Microsoft Is Killing The Traditional Desktop In Windows 8 [Opinion] The traditional desktop is still around in Windows 8, and it’s probably the best Windows desktop yet (aside from not having a Start menu.) But Microsoft is setting it up for the kill. The writing... Read More from Windows RT within a few versions. The bigger concern is the actual usefulness of these tweaks. If you already have a Surface RT and want to do something a bit extra with it, these tricks can be useful. However, you won’t be able to do more than run a few small desktop apps. Developers won’t compile their apps specifically for Windows RT, so you’re relying on enthusiasts to get them working for you. If you want a touch-based Windows device, pick up one that uses Windows 8 on a standard x86 chip. With devices running Intel’s Atom chip offering similar performance and price to ARM devices as well as compatibility with traditional Windows desktop software, there’s no real reason to purchase a Windows RT device. You should go with a Windows 8 device instead of a Windows RT device if you want to run desktop programs. Have you jailbroken your Surface or other Windows RT device? How have the third-party desktop apps worked for you? Leave a comment and share your experiences! 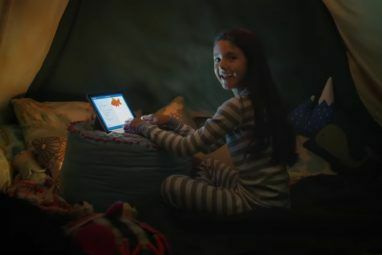 Explore more about: Microsoft Surface, Windows 8, Windows RT. Thanks for this article. Originally when I had purchased my Windows 8 RT tablet, I had forgot that RT is locked down, wont allow for non Windows RT applications/programs to be installed, even after researching it before purchasing, I forgot. But, I do not regret purchasing the tablet. Is there a jailbreak for surfac2 ??? ERROR: The system was unable to find the specified registry key or value . Please if anyone knows how to get around this please let me know, it would be greatly appreciated. Is that on windows re 8.1? 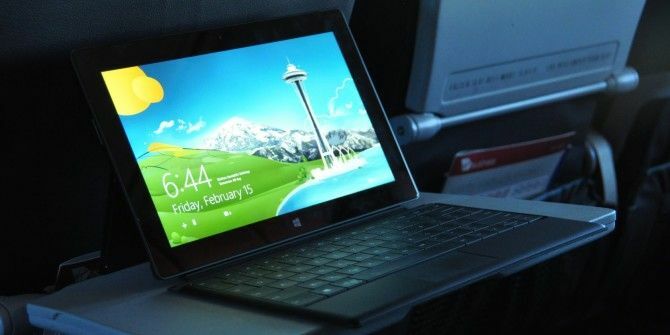 Does the jailbreak allow you to run transcription software onto the Surface 2? Whats the jailbreak zip file ? Where do i get the zip file ? If I jailbreak my surface rt can I use a power saves pro for 3ds on it? So when I run jailbreak and it tells me I now have admin access to the RT Tablet; yet when I try to download things like Wireshark or Kali Linux, it tells me that it can't run the app and that I should check the Play Store for apps. Will I be able to run java on my surface 2 8.1rt? If I jailbreak? I currently have the Windows Surface 1. With the preloaded Windows RT. I've found that I can't run 3rd party apps like Chrome or more importantly Cheat Engine or Fiddler on it. Can I use these if I jail break it? I was waiting for the warranty period to be up. Can I get chrome drive etc on a surface 2? waiting for uptime to reach to minute. hello all folks just want to know why don't try to change the os on surface RT? why don't try to hack the bios and install windows7? this is not OS problem, is the architecture that doesnt support normal Windows app. It was running on ARM as the author told. I've been thinking on whether or not to jailbreak my Surface RT because I got it for Christmas and I only wanted a computer to play games on, I didn't really need it for work but since its restricted I came here to ask if I we're to jailbreak my Surface RT would still run as smoothly as it did before because there is no point to jailbreak it if its going to be slow or laggy. This probably sounds trivial, but I am wondering if I should jailbreak my Surface RT since it doesn't support Dropbox. I already have the app but I'd prefer to be able to access my files while offline, which requires me to download the program first. After jelb. Can run apps like whatsapp ?? I have a local program related to stock exchange (It is not a heavy program and consumes only 30MB of storage) . Can i run that program on Surface RT by jailbreaking it? It will not likely run CVP.exe. You may have a slight chance if you can get Win86Emu to run, but doing that requires several steps that are as difficult, if not more difficult than the original jailbreak. Sell it. how do you install the third party apps? Any word on the jailbreaking of the new Surface 2? It's coming soon, another hacker has already cracked 8.1 twice over on the RTs. how do you get a Nintendo DS emulator?? Search ''ds emulator'' on a regular computer and download desume and download a ds game from cool rom and drag the game into desume,just YouTube it. when ya board get crease u use putty pun am to block e up. I run the jail break on the Surface RT tablet so I can run a couple utilites that I find usefull. Putty is one that I needed and am glad I can run it on RT now. You really do not need to install much on a tablet if you also have a full PC available. Surface RT makes a great moble terminal, I connect to my/works workstation via RDP when I need to run Windows apps. So, now I do not need to carry a heavy laptop around with me. There is nothing wrong with RT except it is more restrictive (than x86 Windows 8), I wish Microsoft did lock the device and we did not have to "Jail Break" the device to install a few applications that we need. Desktop mode is usefull for mapping drives, formating disks, browsing the network. If some compilers are ported, couldn't you technically just compile any open source program and run it? Or would you run into issues with the different architecture? Maybe somebody could even use a cross-compiler from there desktop computer. Might be a bit awkward although. Anything that can run DOSbox can run Windows 98, opening up a rather spectacular amount of desktop software compatibility.